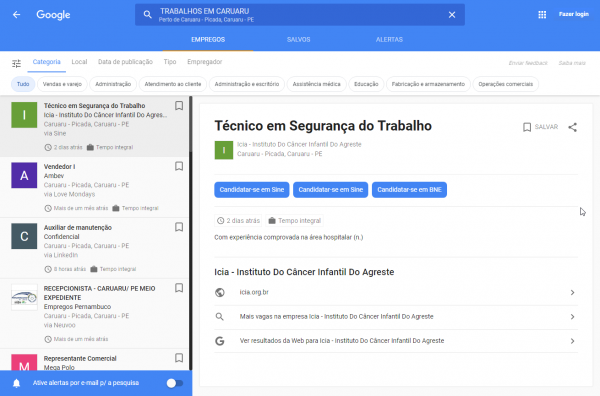 As well as the UK, it appears Google's job search feature is now live in Brazil too. To access the feature, simply perform a search for "jobs near me" or a specific query like "technology jobs." You'll then be able to filter by category, location, salary, and more, before being provided employer reviews and ratings to help you make your mind up. There are links to the sites on which you can apply for each role, and they come from a broad range of job listing services. To surface the best results, Google is working with The Guardian Jobs, Reed.co.uk, Haymarket, Gumtree, The Telegraph, Reach plc's totallylegal, CV-Library, totaljobs.com, and others. For employers wanting to get have their jobs listed by Google, there's a guide on how to get involved. 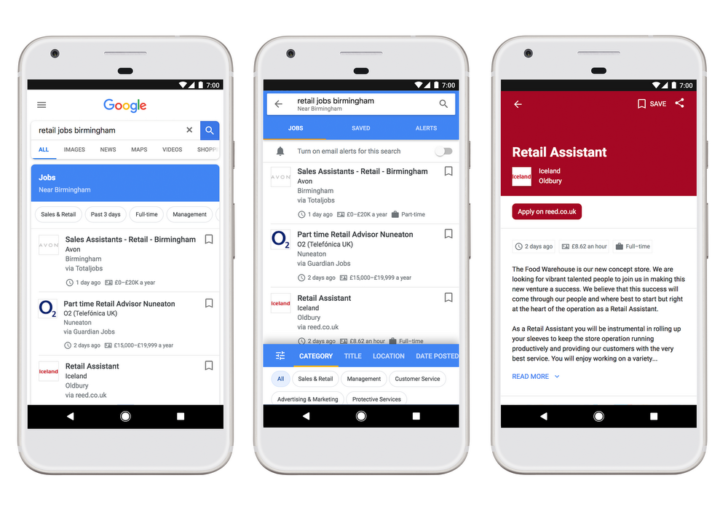 This isn't the first time Google has made a commitment to help people find work in the UK, with its Digital Garage program part of a wider initiative to grow or start the careers of 100,000 people by 2020. With Google Search's ease of use and enormous reach, it could now be much easier for Brits to find their dream vocation.